What has become of the English language in Fiji? For a country that was taken over by the British and where English became the norm in most conversations, it is disheartening to see and read about the shocking revelations in the recent teaching application exercise. Especially now in the 21st century when we are supposed to be advanced in this area. Especially when English is so important as we position ourselves internationally. The tests, held throughout the country last week, saw that about 50 per cent of those who sat the English Proficiency Test had failed while 1627 out of 3250 passed. Here we are talking about people who want to make a career in teaching our future generations. Something is definitely wrong somewhere and one needs to look at how anyone could qualify to sit the test, or applying for a teaching job for that matter be doing it in the first place. Education Minister Aiyaz Sayed-Khaiyum earlier sounded the alarm on behalf of Government. The test, put in place by the Ministry of Education was needed and thankfully the purpose for which it was put in place has revealed that the proof was in the pudding. If one has to check thoroughly, surely some recent graduates, including those with university degrees, never had any mastery of the language at all. Some cannot construct a simple declarative sentence, either orally or in writing. They cannot spell common, everyday words. Punctuation is apparently no longer taught. Grammar is a complete mystery to many graduates. The vocabularies of the majority of high-school pupils are amazingly small. But what are schools doing about this? One school in Ba, Xavier College, and Marist Brothers High School in Suva have adopted a simple yet strict pattern that all students adhere to. Students upon entering these institutions are advised why it is important that the English language is spoken in school from the minute you step onto the school property to when you leave in the afternoon. If you are caught speaking in the vernacular, then marks are deducted from your English term examination paper. Simple yet it keeps the students speaking English at all times following the popular saying “practise makes perfect”. Unless the decline in the standard of English in Fiji is arrested, the country will surely find itself in a lot of mess in the years to come. One of the factors that have helped the English language wither away so quickly is the instant messaging on social media. Words misspelt or abbreviated to save time has caused a dramatic decline in the vocabulary and spelling skills of the majority of the people. This includes neglecting to capitalise or use proper punctuation, but also leads to the abbreviation and tragic misspelling of everydaywords. New words on the internet like – lol, fyi, oml, omg, smh, wth; have all become common language over the internet now and people are using it without realising its leading to the degeneration of the English language. 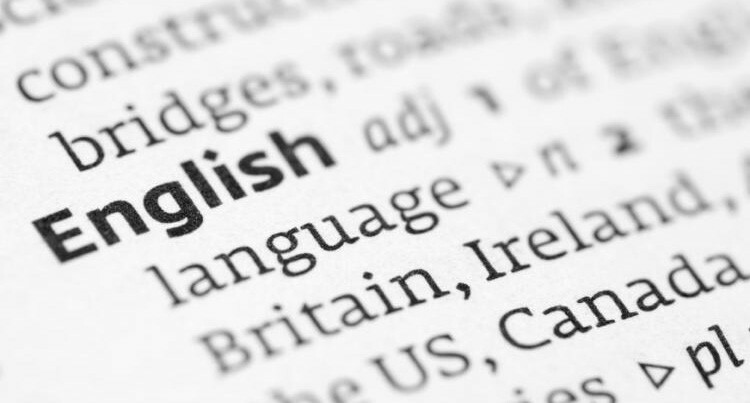 The English language, no doubt will continue to change, but we need to see that the changes are constructive and moving in the right direction. The Ministry of Education needs to look at the teaching of English in schools, for if teachers who are imparting their knowledge of the English language do not fully know what they are teaching, therein lies the real problem.